Home > News > South Korea’s LED lighting lowers suicide rates? South Korea’s LED lighting lowers suicide rates? Rates of suicide in the Asian country have doubled over the past decade, according to the World Health Organization (WHO). Analysts believe that crumbling traditional values, living in a hyper-competitive market and future uncertainty have all contributed. The Mapo Bridge in Seoul is where dozens of South Koreans jump to their death every year. 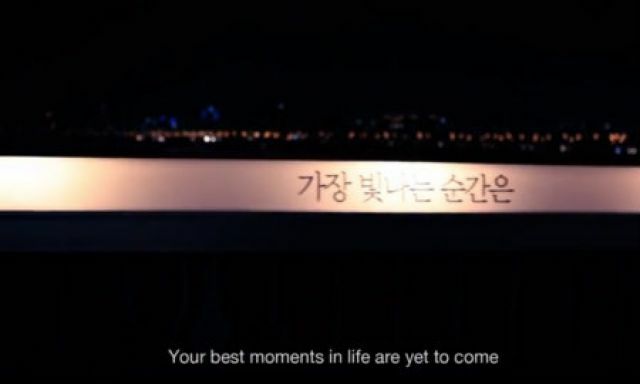 To tackle the issue, Cheil Worldwide has created the “Bridge of Life”: a sensor and LED-based system which sends out messages of hope. Over the course of one year and six months, 2,200 sensors and LEDs were embedded within the bridge railings. When the sensors detect a person drawing near, lights flash messages approved by suicide prevention groups including “How have you been?,” “What is troubling you?,” and “Just go and see the person you miss.” In addition, an image section shows photographs of families, the elderly and children. The company, in conjunction with Samsung Life Insurance, says that suicide rates on the bridge have been reduced by 77 percent as a result.